Have you ever thought that the idea you had while you were washing your hair or cleaning your car could be an idea that will change the world? Most of the time, new inventions and achievements in the world stemmed from single ideas that came from one individual while they were just going about their daily lives. They did not sit down for hours on end with a pen and paper in their hands trying to think of a way change the course of history, and they did not mind-map all of the things wrong in the world and come up with solutions. Instead, they were simply doing them and getting on with their lives when inspiration struck – just like an apple falling on your head! That’s exactly what happened when TK Devine saw the homeless epidemic around his hometown of Los Angeles. In fact, Devine was one of the 55,000 homeless people in the city that had struggled under the weight of the financial crash. He was lucky enough to have this van to his name and have a roof over his head each night, but there were some people who didn’t have that option. It took one, hard look at the tents adorning the streets and the people sleeping rough on the sidewalk for Devine to put two and two together. 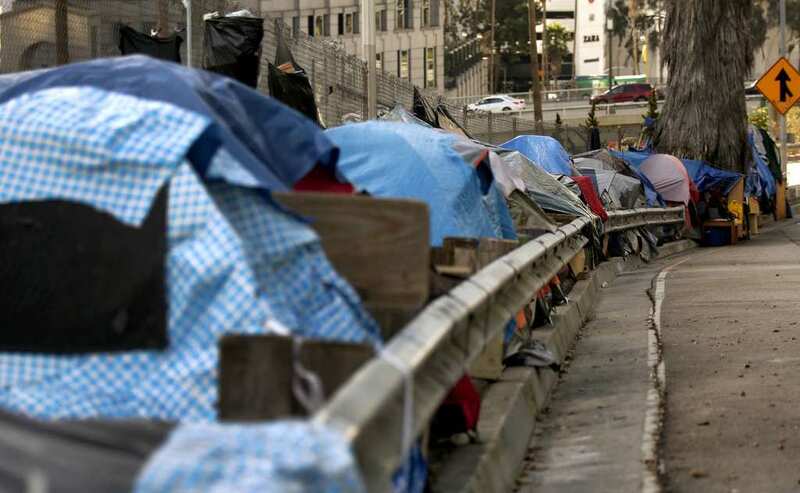 He knew that there must be a way to solve the homeless problem on the streets of LA without having to find thousands of dollars and investing in charities and homeless shelters. He knew that there must be a way to give them somewhere to live that wouldn’t cost the same price as your average apartment. That’s how he invented something truly amazing. It all starts with one single idea, and as soon as that idea takes form, it can change the lives of thousands. So, when TK Devine looked at rows upon rows of homeless people living on the streets of Los Angeles, he knew that had to do something about the 55,000 people who were homeless in 2017 alone – because he was one of them. Those numbers couldn’t continue to rise, and something needed to be done about the homeless problem. Thankfully, he had just the perfect plan crafted. However, to truly understand this story we need to learn a little more about the man in question. Yes, this is where we introduce you to TK Devine! Like many young adults, TK went to university to enhance his career and lifestyle. He studied at both Northwestern University and the University of Florida and graduated with an impressive degree. Yet, when he moved to Los Angeles to find work, he soon found himself living on the streets for four years. It was here that he thought up his brilliant plan. When he first moved to Los Angeles, TK managed to find himself an apartment. However, as the price proved too much for his wage, he had to make a tough decision. Does he put his financial security or jeopardy, or does he leave his apartment? In the end, he decided to move out of his apartment and move into his life. 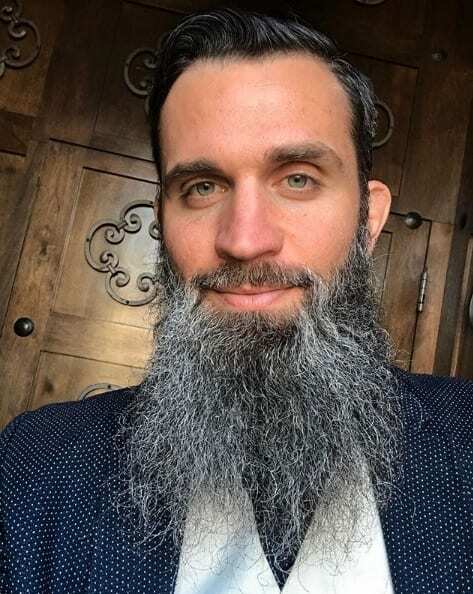 He chronicled his experience as “The Office Hobo” on social media and wanted to show the world that people can thrive and survive even if they don’t have a home. Thankfully, TK didn’t have to share this experience alone. He had found love with his partner, and they even managed to maintain their relationship throughout these financial troubles. However, TK was worried about showing her his new life in his van. He didn’t know how she would take it or whether she would still want to be with him. Yet, he soon realized that the pair didn’t just bond over music and books, but they also bonded over their love for the environment, humanity, and practicality. As TK was living in his small and compact van, he stumbled across a handicapped Porta-Potty. As he stared at the size and the shape of the portable restroom, he realized that it was the perfect size and shape for someone to live in. He could envisage the whole thing in his mind. He could fit a twin sized bed in there, a refrigerator, storage, a clothes rack, and even a small stove. 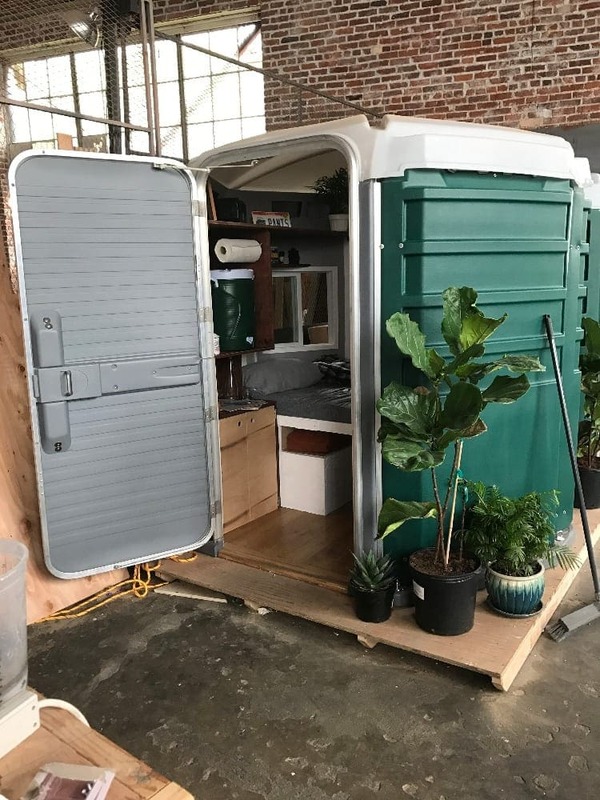 He made this idea a reality and even added another Porta-Potty on the back to create a separate restroom. Sadly, homelessness is a real problem all around the world. It’s particularly tough for those who live in Los Angeles, as in just six years the rate of homelessness increased by a whopping 75%. 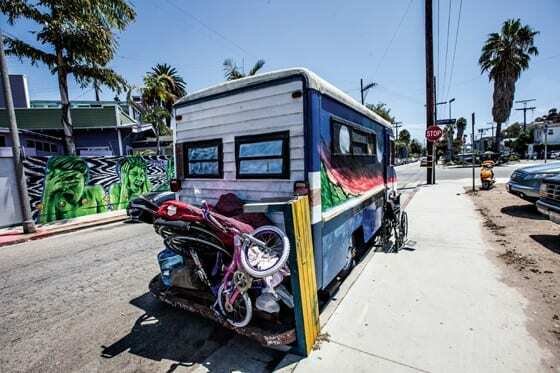 The current numbers state that there are around 55,000 people living on the streets in the City of Angels, and many of these people found themselves on the streets after the famous financial crash. As a younger generation enter the workforce, these people are finding it even more difficult to get back on their feet. So, how did TK Devine come up with this idea? It seems as though he took inspiration from one of the most accessible utility options for those who live on the streets. 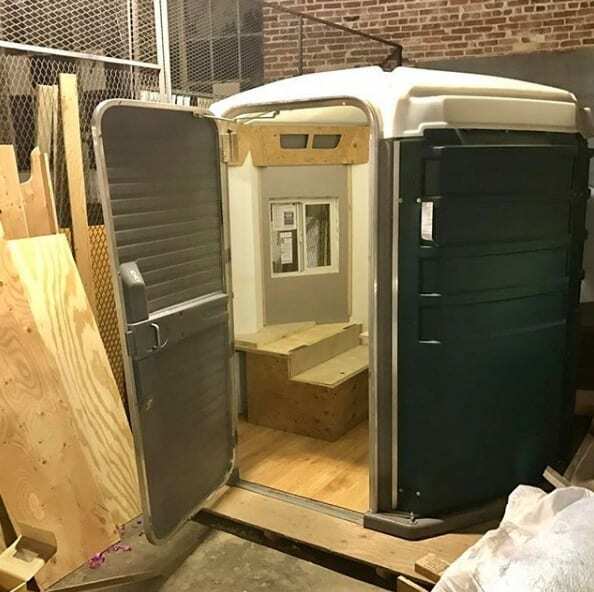 The Porta-Potty can be used by homeless people on the streets, and TK noticed that they are much larger on the inside than they look on the outside. He knew that it would be the perfect place to allow homeless people to have a good night’s sleep and live their lives in safety away from the rough streets. As soon as TK had the idea in his head, he knew that he had to bring it to the masses. 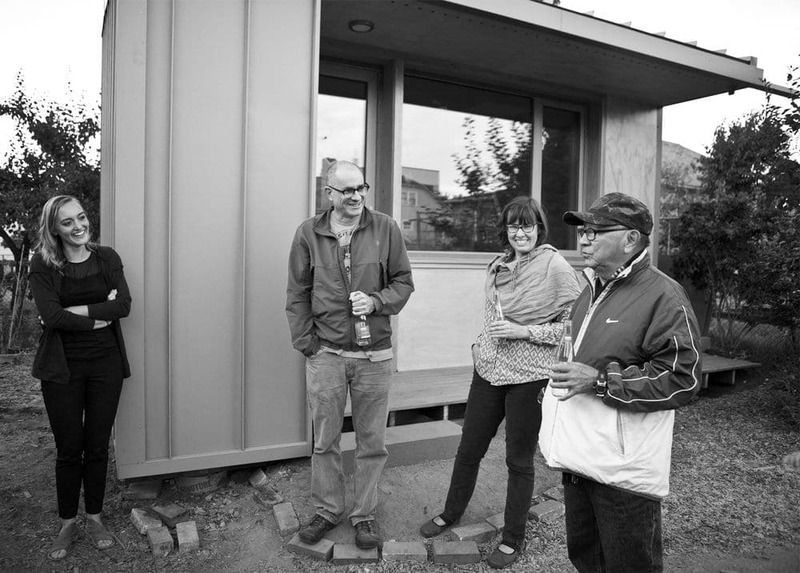 So he decided to create his own nonprofit company that he called Our Backyard Homes. He created this company to help the homeless problem across the country but to also provide cheap and affordable housing for those people who are on low incomes. More specifically, he wanted to help those college students who found themselves on the streets while trying to better their lives at university. Since bringing his idea to life, TK Devine has had a lot of interest in his Porta-Homes. There are people who believe that taking action and finding new ways to tackle homelessness can really help those in need, but there are also people who aren’t completely sold on his idea. Devine has noted that living in such a way isn’t for everyone, but that he will be happy if he could just help one person get off the streets. In fact, he is now traveling the world trying to promote this amazing concept. Amazingly, TK isn’t the only person or company trying to help those who are living on the streets. There is a company called The Block Project in Seattle that are trying to do everything they can to help the rising levels of homelessness. To do this, they are building small and compact houses in private backyards of residents who are willing to house people on their land. These residents are given help from the project to pay their rent to entice more people to sign up to the project and give these people a second chance. If you’ve ever been to Los Angeles, you’ll know that there is a great divide between the rich and the poor – especially in terms of their houses. 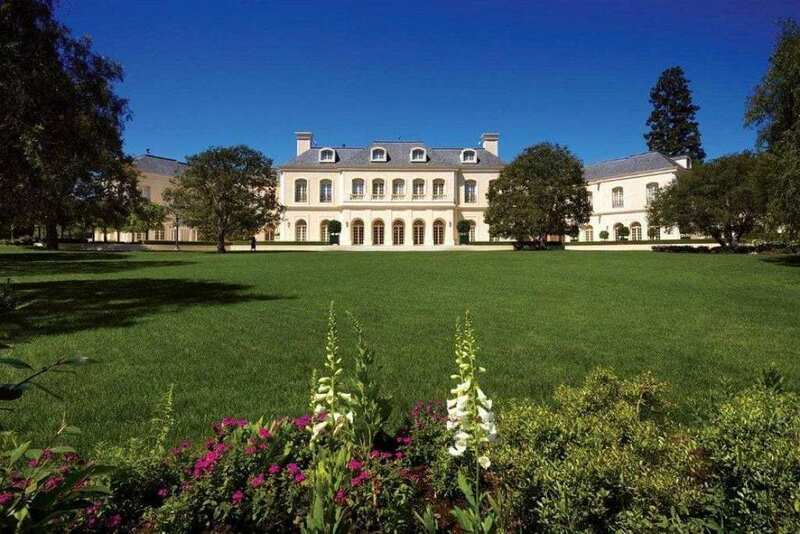 As you walk down the street, you will pass some of the largest celebrity mansions known to man. Yet, as you walk even further down the street, you will then come across rows and rows of tents and people sleeping rough on the street. In fact, this divide can be seen when you look at The Spelling Manor, where Tori Spelling spent her childhood. It’s not hard to see that The Spelling Manor is a feat of architectural engineering. Not only is it absolutely beautiful, but this house is also shrouded in luxury. 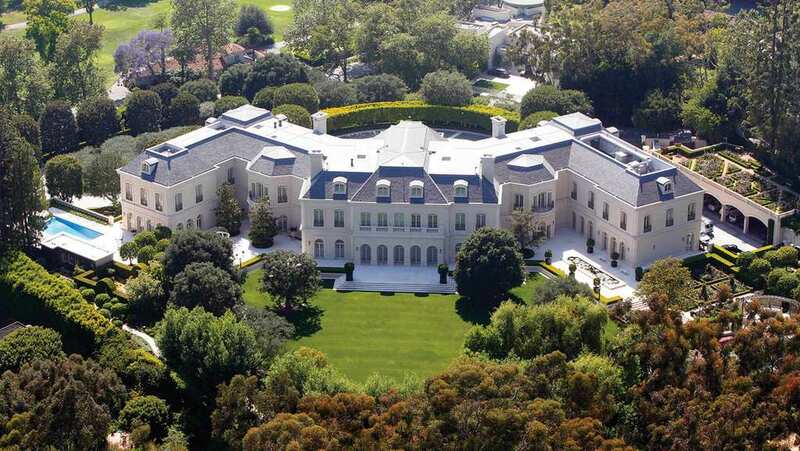 It cost a whopping $150 million to build and was designed completely by Aaron Spelling himself, the famous TV producer. With acres of land to its name, this house also boasts a koi pond, a tennis court, a movie theater, and countless bedrooms and bathrooms. What might surprise you, though, is that just a few minutes down the road is a homeless epidemic. 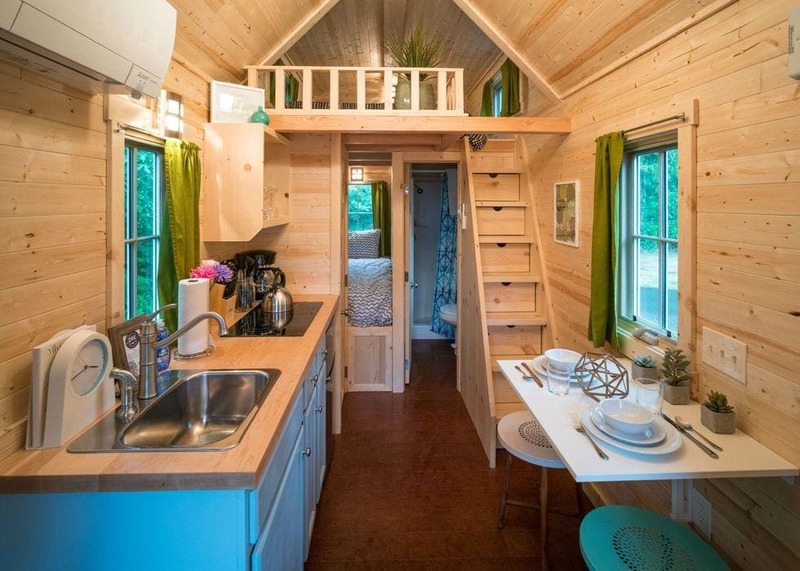 The inside of the tiny home looks so much larger on the inside than it does on the outside, and it’s perfect for a single individual, a couple, or even three people! Not only is there a queen-sized bed on the upper level, but there is also a pull-out couch that can double-up as a bed. 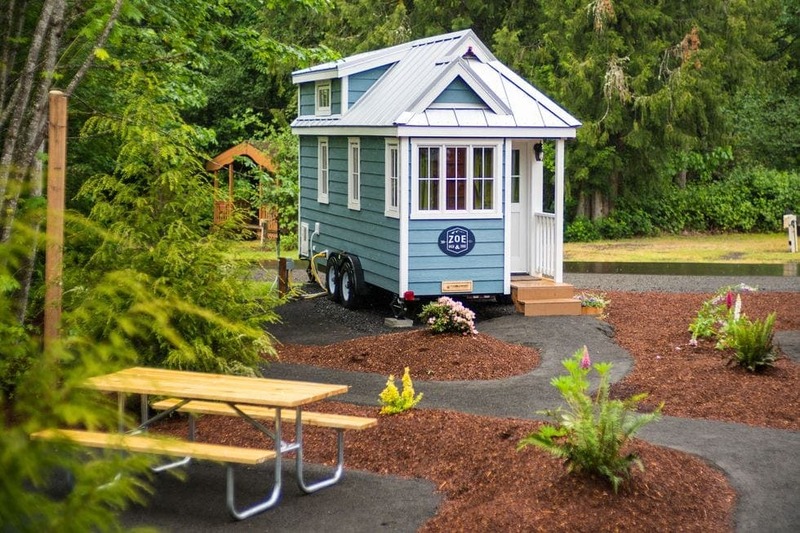 As if that wasn’t enough, this tiny home also boasts a kitchen, a dining table, a bathroom, and even a nifty little staircase that also doubles-up as storage space. There really is everything you could possibly need. If you live in a big city, finding somewhere to keep tiny homes can be problematic – which is where co-living comes into play. This is an up-and-coming concept in San Francisco, where young professionals and even seasoned professionals can’t pay the $3,500 rent for a one-bedroom apartment each month. 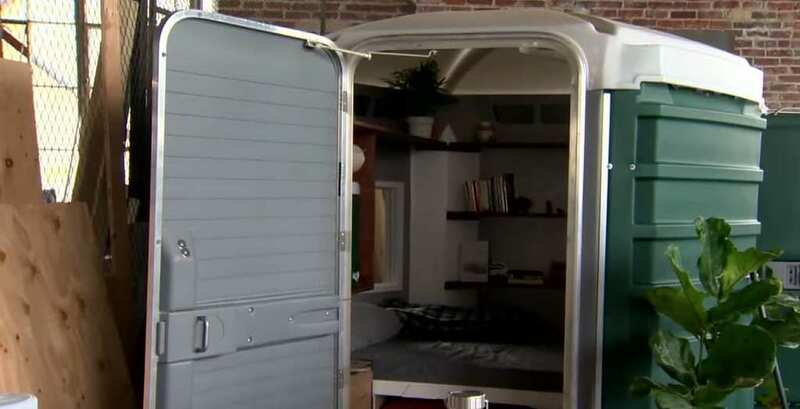 To stay in the city, many people are choosing to pay $1,000 a month for a co-living pod like this one. 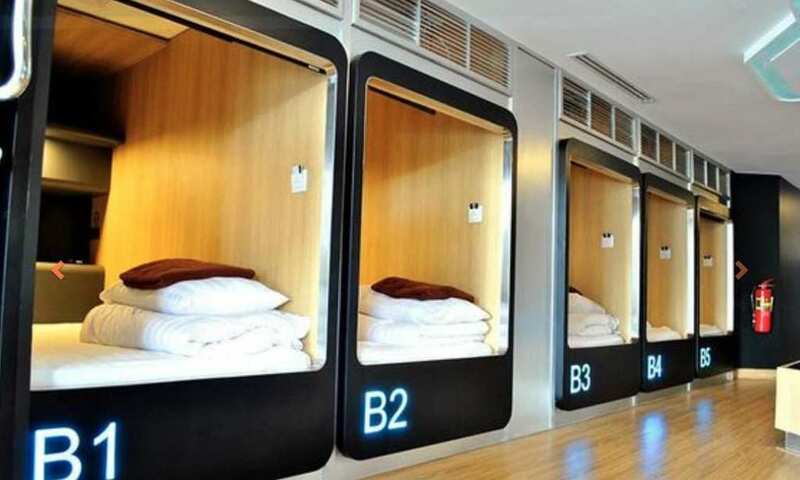 While you do get your own sleeping quarters, all other amenities are shared with the people around you. When you were younger, did you ever ask your parents for a tree house? Most kids wanted to live up in the trees as kids, but we have a feeling that you probably didn’t mean something this extravagant. 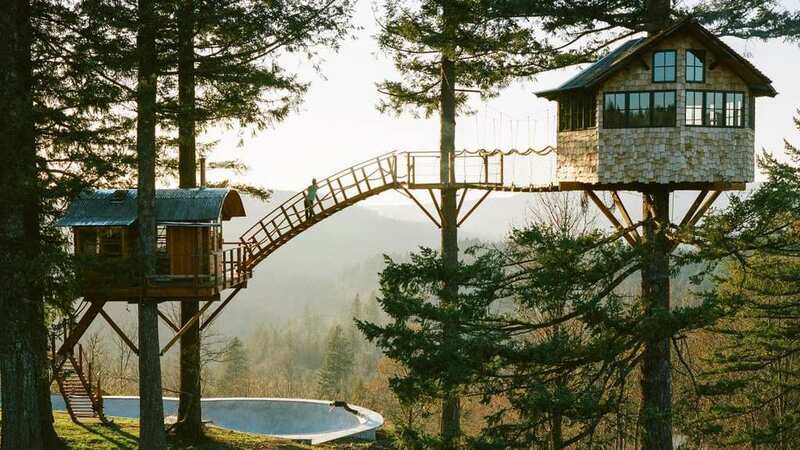 After leaving New York City and quitting his high-profile job, Foster Huntington decided to take himself into the woods and build his very own treehouse. He scoured Craigslist for used material that he could transform into something magical, and he even built his own skating rink right beside it! Unlike many other projects before him, TK Devine has decided to speak to the people about his idea. 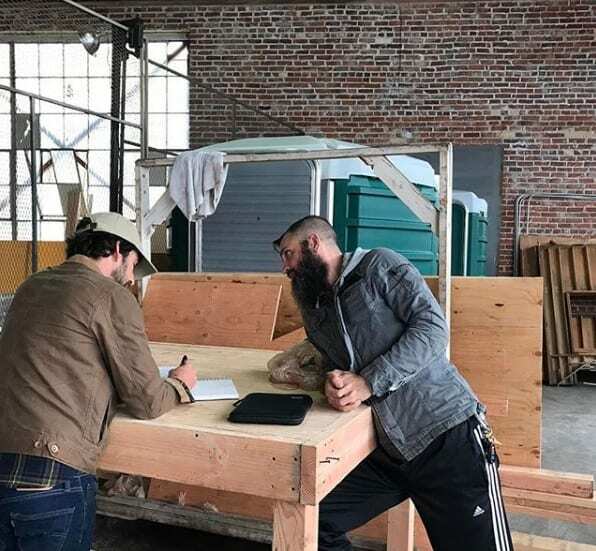 He knows that his invention will never get off the ground if he doesn’t have the land to house these Porta-Homes, and needs residents around the Los Angeles area to place these homes in their backyards or on their land to avoid the strict laws of the streets. He has also created a GoFundMe page for his project, in the hope that people will invest their money in the people of this world. According to Devine, creating one of these Porta-Homes from scratch will cost around $20,000 – which means that he can’t do it alone. He has approached the head honchos in Los Angeles to help him make his dream a reality and help the homeless crisis in the city. Alongside this, he has also created his GoFundMe page to entice members of the public to join his team and help those who are in need. 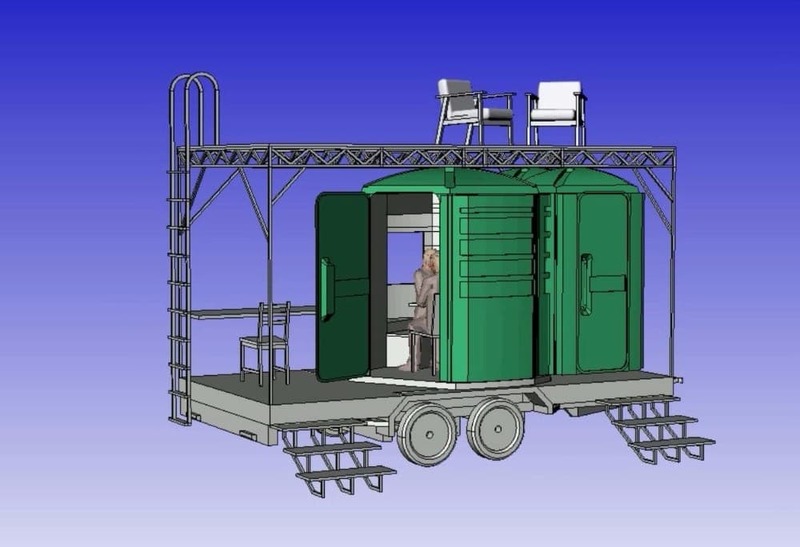 He wants to prove that these Porta-Homes really will work and change the lives of many. Amazingly, the Porta-Home is completely self-sufficient. It doesn’t need to be hooked up to a generator, it doesn’t need any plumbing, and there are no wires anywhere. Because of this, it can be transported anywhere in the world. 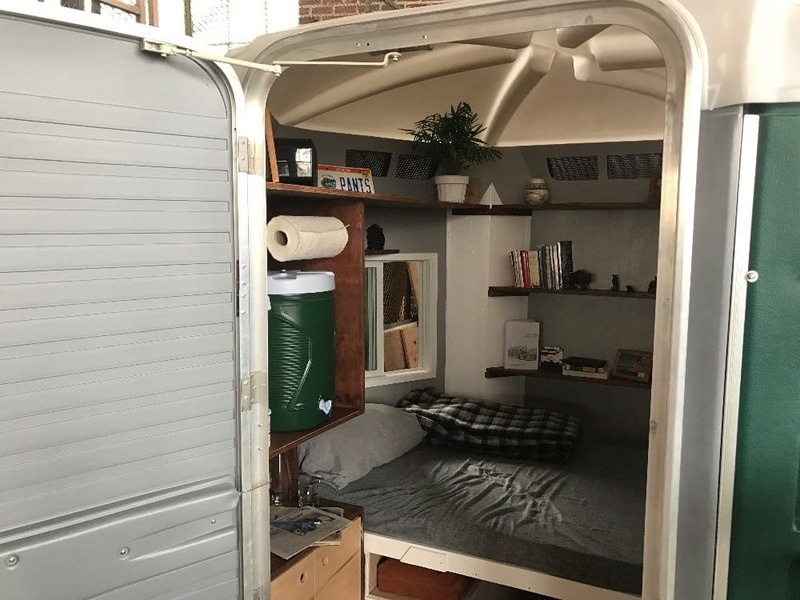 At the moment, Devine is trying to encourage those who live near universities to get on board with his idea and allow these Porta-Homes to set up shop in their backyards. This would give students the chance to live and learn away from the streets so that they don’t increase the homelessness numbers. Although many people have walked up to Devine and told him that his Porta-Home is a crazy idea, he is fully invested in his idea. 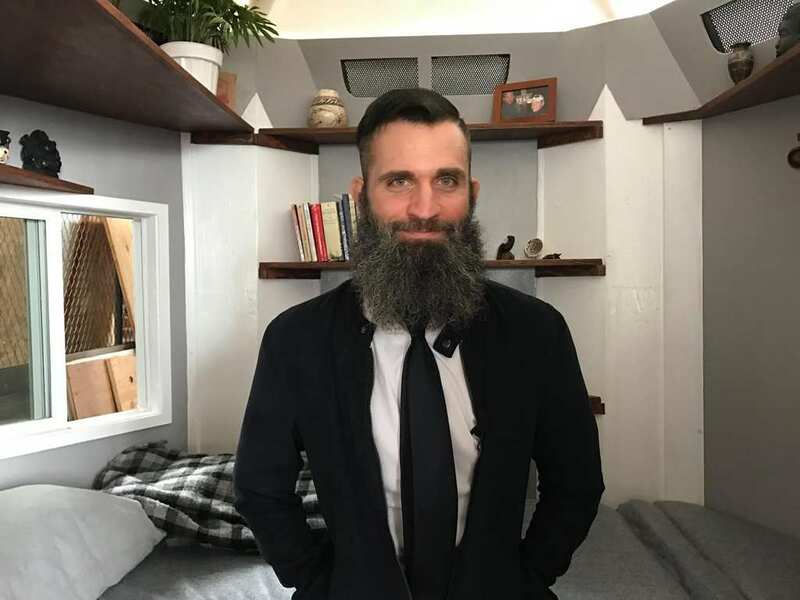 He has had experience of being homeless with nowhere to go, and he knows that a small and compact space like this one is enough to turn anyone’s life around. While the Porta-Homes may not be like any other apartment in the world, they have everything you need to create a basic and fulfilling life for yourself. Hopefully, this idea will really take flight.